Clairin Vaval rum is great for citrus-forward cocktails. The year 2018 has been an eventful one, no matter where you looked. This is no less true in the spirits world. Even as cannabis continues to boom as an intoxicant of choice and manufacturers pivot to weed beer, there have been innovations in almost every type of booze, from Japanese gin to bartender-made brandy and a Danish spirit from a team of Noma alumni that defies categorization. The spirits we selected as “best in show" represent a bunch of delicious, weird and pioneering bottles divided into three categories: classics that are newly available from distributors; true innovators and the purely best in class. If you’re in the market for a few bottles to celebrate the new year, each of these is worth cracking open. Made from a 1901 recipe of 26 botanicals, this Sicilian bitter is a great addition to the expansive line-up of digestif-style amaro. Bright and citrusy, with hits of vanilla and a satisfying smokiness, it’s best served neat. 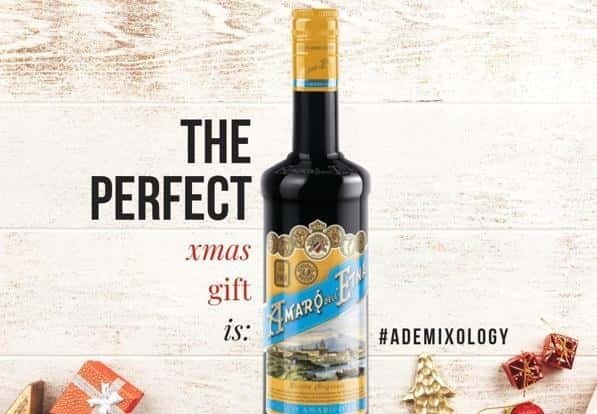 Produced from grapes grown on an estate established in 1939 from 40- to 60-year-old vines, this unfiltered and undiluted brandy packs quite a punch at 49.9% alcohol by volume. But once you power through the heat, you’re left with deep, luxurious notes of coffee, tobacco and baking spice. A slow sipper for long winter nights. Handmade and distilled to proof from a single varietal of sugarcane juice, like rhum agricole from Martinique, rather than molasses, Clairin stands apart significantly from rums you might be familiar with—it’s grassy, complex and somewhat briny. Made near the beaches of south-western Haiti, Clairin Vaval can be a great substitute for standard white rum in citrus-forward drinks such as a daiquiri or mojito. Raicilla has been produced in Mexico for more than 400 years, but it wasn’t until tequila took off that the spirit gained international visibility. This expression made in Jalisco roasts the piña of the Maximiliana agave in a way similar to mezcal, yet the resulting distillation remains super floral and fruity. It’s a good fit for someone looking to branch out from more mainstream agave spirits. Most Irish whiskies are made predominately from barley, but Kilbeggan dusted off an 1890s recipe that includes 30% rye grain—making it singular among Irish expressions available today. Great as a neat pour, with inviting notes of mulled apple cider, this whiskey would make a superb wintertime Manhattan or boulevardier. Fledgling distillery Neversink Spirits, an hour’s drive north of New York City, has been making delightful apple and pear brandies for a few years, and in 2018 it made its first foray into whiskey. A mash of corn, winter wheat and malted barley is distilled, then aged for two years in American oak before being finished in apple brandy casks. It’s an engaging detour for those looking to mix things up with some non-Kentucky bourbons. This stuff is wild. Helena comes to us via a collaboration between Danish distiller Empirical Spirits, co-founded by Noma alumni Lars Williams and Mark Emil Hermansen, and Sam Anderson, the wine and beverage director at Contra, Wildair, and Una Pizza Napoletana in Manhattan. It’s made from three distinct barley varieties fermented with a custom koji mould and distilled in a vacuum still at low temperature. Mind-bending complexity makes this challenging to work with in cocktails—it might be best served neat or on ice—but it’s still extremely rewarding. Produced in the cognac-adjacent town of Pons, France, this brandy can’t technically be called cognac because of its Chardonnay base (cognac laws only allow certain grapes to be used.) But don’t let that turn you off—this light, floral spirit spends its time ageing in French and American oak casks on the shores of the Atlantic Ocean. It’s a brisk, bright option for those looking to buck tradition. Dreamt up by Jeff Bell, the general manager of Please Don’t Tell (PDT), the Manhattan hideaway that crystallized the modern speakeasy trend and won the World’s Best Bar award and Thomas Pastuszak, wine director at The NoMad in NYC, this California brandy is tailor-made for cocktails. Complex and full of stewed fruit and floral aromas, Bertoux slots in perfectly in all sorts of applications. If Japan was able to reverse-engineer (and some might argue improve) Scotch, there’s no reason to think distillers there couldn’t do it with gin. And they did. This bright, tasty gin adds six (roku means “six" in Japanese) traditional botanicals—yuzu, sansho pepper, two kinds of green tea, cherry blossom, and cherry tree leaf—to a classic base of juniper, lemon peel and coriander. Useful in a wide variety of applications, this just might give London dry gins a run for their money. This bottle has been racking up awards all year—and for good reason: Made from 100% Jabalí agave, which is notorious for being difficult to distil, this mezcal is wildly complex with rich fruit on the nose and woody herbal notes on the palate. I wouldn’t do anything else with this other than pour it in a glass and drink it. 2018 saw the launch of a range of Indian heritage brews and handcrafted spirits inspired by regional produce and drinking culture. 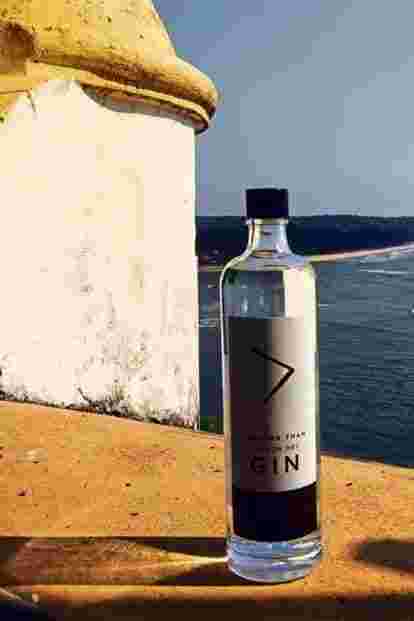 A brainchild of Goa-based Desmond Nazareth, this is the first ever bottled version of the delicately flavoured tribal liquor which is made by fermenting mahua flowers. Former engineers Rohan Rehani and Nitin Vishwas left their jobs to explore the potential of mead, one of the oldest alcoholic drinks in the world made by fermenting honey and water. Apples from Kashmir, single source honey and artisanal coffee from Karnataka are some of the ingredients of this new-age mead. Cazulo Premium Dukhshiri The family-run distillery, which is known for its premium feni, has yet another winner on its hands with Dukhshiri. It is a coconut feni distilled with the roots of the Indian Sarsaparilla. Anand Virmani and Vaibhav Singh’s first craft gin, Greater Than, is a typical London Dry gin with imported juniper whereas their second variety Hapusa is made with a home-grown variant of the berry and spices.